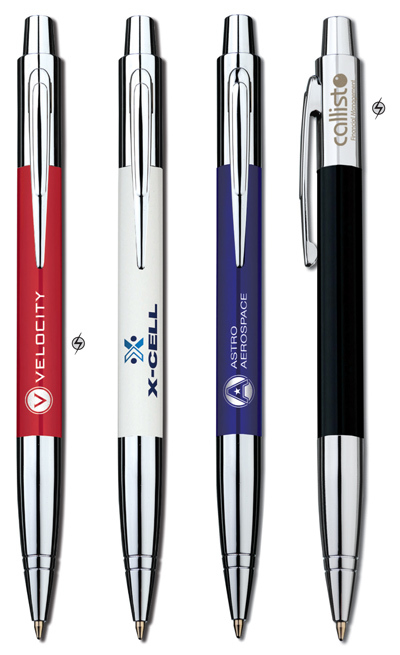 A stylish ball pen available in gloss black, red, white or blue lacquered aluminium. Added bright chrome fittings give a high value quality. Fitted with a quality metal Parker style black ink refill.